©2010 Trosby Furniture Inc., All Rights Reserved Trosby® is a registered trademark. 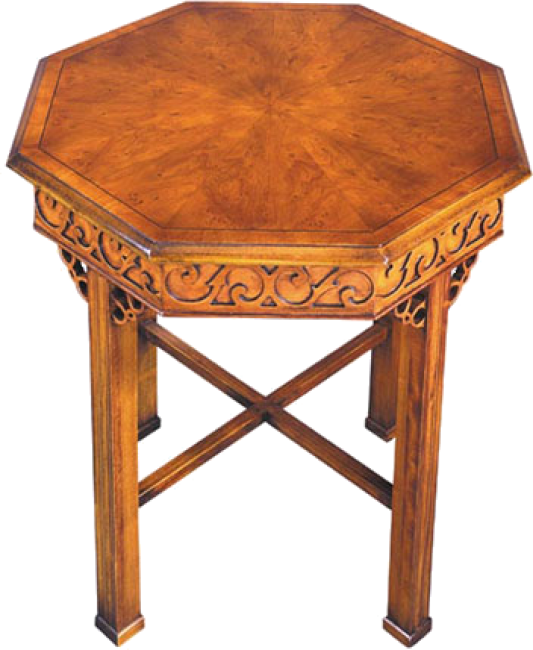 Octagonal shaped end table with pie shaped veneers on top. Hand carved blind fretwork frieze. "X" stretcher connecting fluted legs. Pictured in Yewwood.